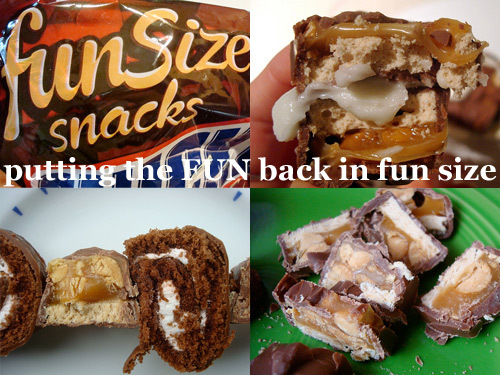 If I had a time machine, I would go back in time and punch whoever invented the Fun Size candy bar. Because you know what? They aren't very fun at all. Eating just one is definitely not fun (too small!) and when you inevitably try to satisfy your candy appetite by eating 10-12 of the pint-sized treats, what you feel is basically the opposite of fun. 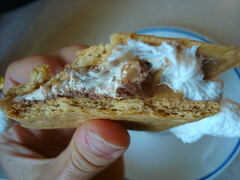 Fun Size S'more: Guess what? 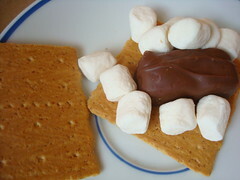 Making a s'more with a Fun Size candy bar instead of bar chocolate works fantastically! 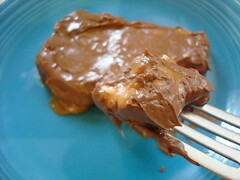 The caramel oozed in a most satisfying way, and worked in a sort of campfire-meets-rocky road sort of way. (P.S. if you like this, you may also enjoy the S'moreo). 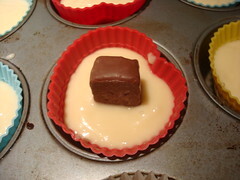 Fun Size Filled Cupcakes: Make a batch of cupcakes. 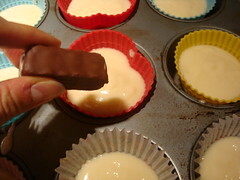 Fill the cup slightly lower than you generally would with batter, and put a fun-size bar directly in the cup. 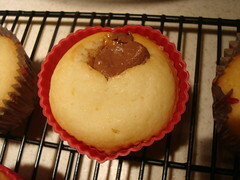 Bake per the recipe's instructions, and then frost once cooled. 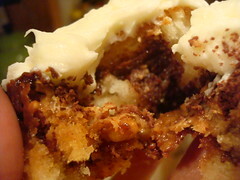 It's like a sweet trick (and treat) in the middle of your already awesome cupcake. Score! 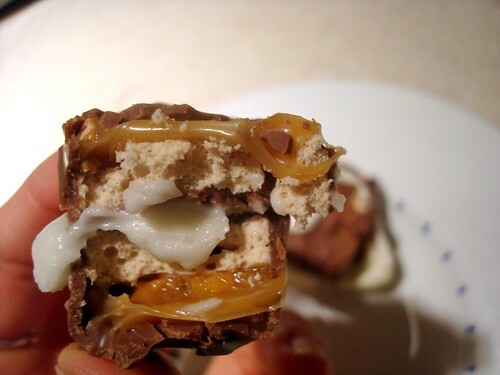 Fun Size Frosting Sandwich: Sandwich together two Fun Size bars with a generous smear of buttercream frosting. Ignore any objections or concerns that may arise as a result of friends, arteries, or better judgment, and let the party in your mouth begin. 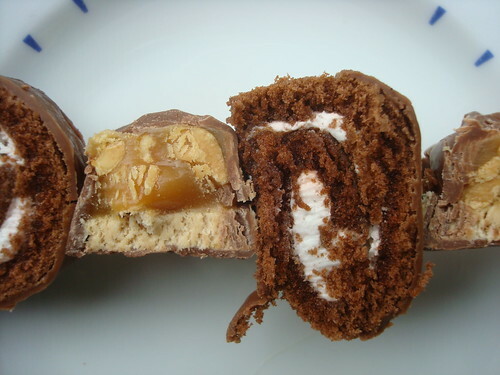 Fun Size Kebab: Alternate slices of your Fun Size candy with another small-ish confection, say a Little Debbie Swiss Cake Roll. Because two small treats make one delicious experience. 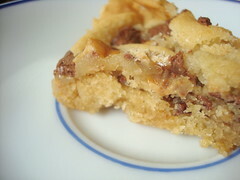 Fun Size Shortbread: Kind of like a simplified Millionaire's shortbread. 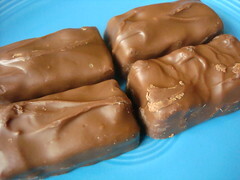 Simply make your favorite shortbread recipe and form as cookies or as bars (I used a mini scone pan, for no particular reason other than that it was clean and around), and before baking cut up an entire Fun Size candy bar on top of each serving. 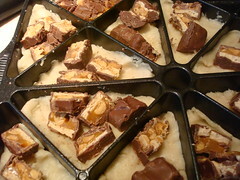 The candy will ooze into the shortbread as it bakes. It doesn't necessarily look pretty, but it tastes fantastic. "Let's Be Honest With Ourselves" Fun Size Confection: Let's be honest. 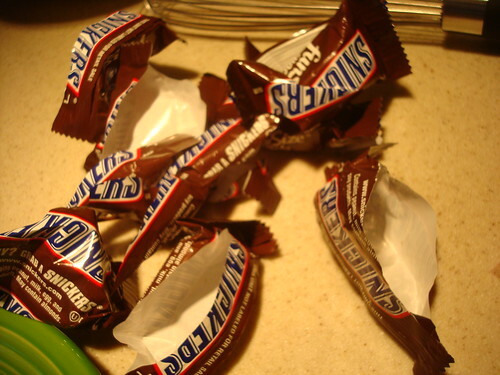 We've all eaten four Fun-Size candy bars (at least) in one sitting. So why not be honest with yourself by mashing them all together beforehand? 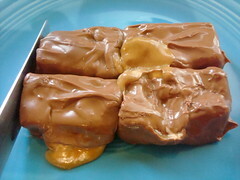 Take four bars and align them together on a plate; microwave on high for about 20 seconds. 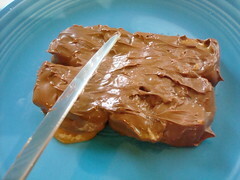 Use a knife to smooth over the chocolate so that they stick together, and dig in while it's still warm. Use a knife and fork and your dignity will remain intact. Sort of. Now wasn't all that fun?